A magnificent book--315 photographs by Edward Steichen, the man Auguste Rodin called "the greatest photographer of his time." This is the first gathering in thirty years of Steichen's photographs, spanning seven decades: the landscapes, the haunting studies of flowers, the portraits of friends and family, the still lifes and cityscapes. Here are fashion photographs taken during the fifteen years Steichen worked for Vogue. And here too are the breathtaking portraits he made for Vanity Fair: Colette, Noel Coward, Greta Garbo, Willa Cather, Isadora Duncan . . . William Butler Yeats, Henri Matisse, Thomas Mann . . . George Gershwin, Amelia Earhart, Franklin Delano Roosevelt (taken when he was governor of New York--a standard pose, the decisive leader in his chair--but later, when FDR was president, cropped by Steichen to show the sad, serious face of a visionary acquainted with suffering). 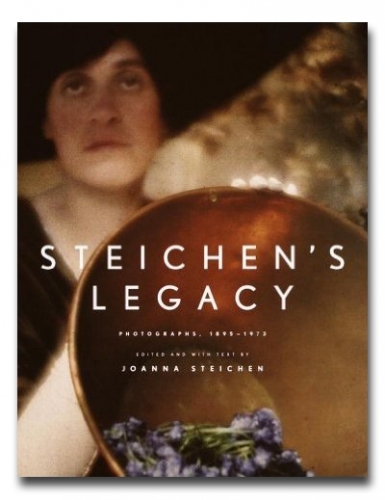 In a personal and illuminating text, Joanna Steichen writes about her husband's passionate views on photography; about how he moved away from painting (his understanding and support of modernism helped bring the movement to this country); about his experiments with abstraction; about the repercussions of commercial success in his life as an artist; about how he and Joanna first met (through the mischievous intervention of Steichen's brother-in-law, Carl Sandburg) and how their relationship changed as they became lovers, man and wife and, finally, artist and assistant. Joanna Steichen writes about Steichen's days as a colonel in World War I, in charge of aerial photography for the Air Force in France, and then as a captain in the Navy--past the age of retirement--in World War II, in charge of combat photography in the Pacific. She writes about his years as the European art scout for his friend Alfred Stieglitz, and of how Steichen later designed the gallery for the Photo-Secession's 291 and arranged exhibitions of the work of Matisse, Cézanne, Picasso and Brancusi, long before these names were known in America. And she writes about the couple's farm in Connecticut, which Steichen landscaped out of woods and rocks and hollows and photographed over the years, as well as the new hybrid of delphinium Steichen produced and the sunflowers he raised and studied through his lens. Carl Sandburg said: "A scientist and a speculative philosopher stands back of Steichen's best pictures. They will not yield their meaning and essence on the first look nor the thousandth--which is the test of masterpieces." Steichen's Legacy is a book of masterpieces.